When I am modeling a portrait I like to think of the whole person and how all parts work together. There is a certain stance or gesture which portrays how the legs and arms and body and head all work together to express a personality. Then there are the details of the face and hands, eyebrows, nose, mouth fingers and wrists. Each part is important in relationship to the other parts. All of the parts working together express a whole person. Next time you are looking in the mirror notice how your whole expression changes when you move your eyebrows or mouth or eyes. When I think of the individual historical figures in the Mississippi River Sculpture Park in Prairie du Chien, I think of them as parts of one whole community portrait. Each figure has integrity as an individual portrait. As other figures are added to the park, each one becomes more than an individual. Each one is in relationship to the other figures and to the central firecircle. An unspoken dialog takes place between the figures. Imagine Victorian Lady in relationship to Black Hawk or Julian Coryer, Voyageur., or Emma Big Bear in relationship to Dr. Beaumont. As more and more figures come to the park, the dialog between them becomes more complex with more possibilities, just as when more and more people from different places and backgrounds come into a community. The community of Prairie du Chien and the confluence region is unique in its complexity. People with different backgrounds and places of origin have been coming here for millennia. 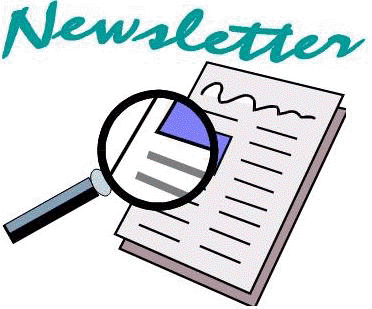 This community history is emerging as a portrait of a crossroads of where people from all corners of the world meet and have been meeting forever. Each individual historical figure is important individually as well as being a part of the whole story. 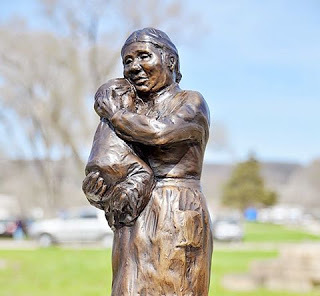 Just as the portrait of Aunt Marianne Labuche and her grandbaby tell about their personalities and relationship to one another, their addition to the Sculpture Park will help to define the whole story of Prairie du Chien. I look forward to having them in place among the other characters.